Just like there are dozens of different types of wine, each suitable for a particular time or event, the glasses in which they are served must also offer a wide degree of variety since the shape influences the taste of wine. A fact that we have to take into account when enjoying a drink. Generally speaking, all the experts agree that the wine glasses should be made of crystal or transparent glass, without decorations and colours and, if possible, they must be made with materials of the highest quality possible. The disadvantage is that price of the finest crystal glasses can be quite high, considering the fact they can be very fragile as well. As for the shape, the goal is to enjoy the wine’s taste and aroma in the best possible conditions. 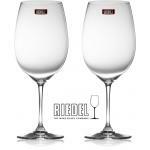 Glasses for red wine: red wines are usually served in tall cups with a big and rounded chalice with a large aperture (“mouth”) that enables the wine to breathe. Through the contact with the open air, we can appreciate its aromas. Among the glasses of red wine, there are also more specific varieties. For instance, a Bordeaux glass is tall with a smaller chalice, designed for the wine to reach the back of the mouth easily and maximise the flavour. 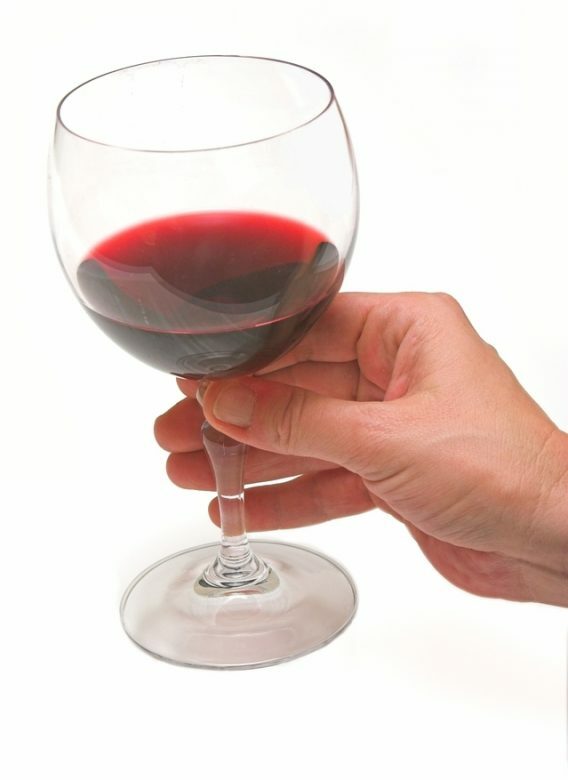 Burgundy glasses are slightly shorter with a wider chalice to better appreciate the qualities of wines like Pinot Noir. Glasses for white wine: these glasses are usually narrower, allowing the wine to keep a cooler temperature and offering its aromas to us. 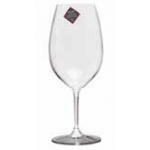 Glasses for rosé wine: although a white wine glass can also be used for rosé, there are specific designs for them. Ideally, the best thing is to drink it in a short chalice and a slightly flared base. Glasses for sweet wine: they are smaller than the previous glasses and there’s a vast variety of shapes that will depend on the kind of wine you are drinking. You can find plenty of different shapes on the market. But it’s recommended that the cups for sparkling wine are transparent and made of thin and fine glass without decorations or colours. This way, we can better appreciate the overall look of cava or champagne, the quality of their bubbles, transparency and colour tones. The aim is to achieve a glass that allows the bubbles to float naturally, to keep its temperature as long as possible and to promote the wine’s appreciation of aromas and flavours. Pompadour: it has a wide mouth and its chalice is short in height. This glass is not recommended to taste sparkling wines since the gas escapes very quickly and its shape promotes the heating of the wine. Flute: this glass is tall and narrow, useful to keep bubbles and temperature on its ideal levels, but bad to appreciate its aromas. Trumpet: a very popular type of glass which allows us to appreciate the aroma, but because of its overly narrow base it may not be ideal for proper release of bubbles. Tulip: probably the best choice because of its wide and flared shape of the base that allows a proper release of bubbles and at the same time a great appreciation of the aroma and taste, keeping its temperature. 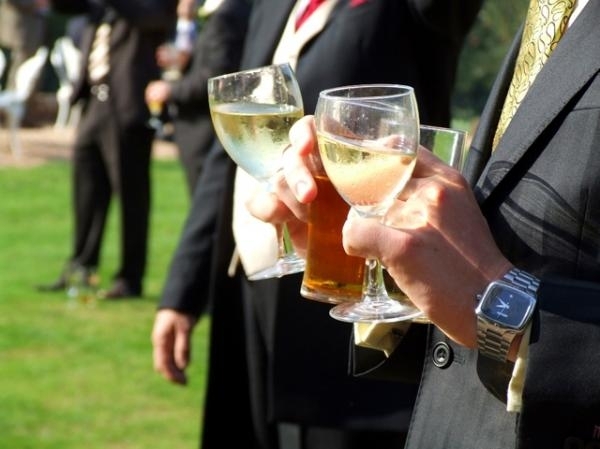 Normal wine glass: experts recommend using wine glasses to taste the most exceptional sparkling wines as they are specifically designed to encourage the tasting. 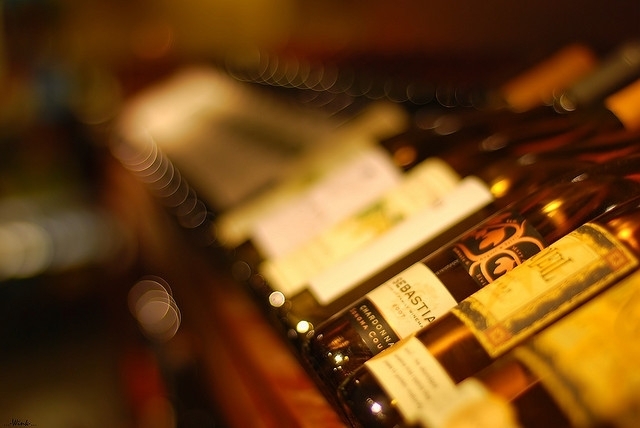 What are the most common wine bottles? The wine bottle as we know it today was not used until 17th century. Before its appearance, other materials such as clay urns, animal guts or wooden barrels were used as containers. Today, the bottle is essential to preserve the wine once it leaves the winery. The liquid will continue to grow and evolve inside the bottle until his quality reaches the highest point. Depending on the type of wine, the best moment for consumption will arrive earlier or later on. The majority of wine is bottled in glass bottles, but there are some other materials like bricks or special cans, however, none of these are recommended to keep wine for long periods of time. Borgoña: it’s the oldest design known. It gets its name for the region it was first created. It is characterized by the long should falling along the side. Some Spanish wines started to use this type of bottle to get differentiation from others. Bordelesa: is the most common bottle. His cylindrical aspect makes possible to store the wine in a horizontal way. For white wines the bottle it’s painted green or light green. For sweeter wines a transparent bottle is preferred. Rhin: it was born near the river Rhin in Germany. It is known for its height and fallen shoulders. 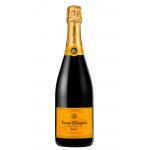 Cava or Champagne: this bottle has it shoulders low and thick glass. 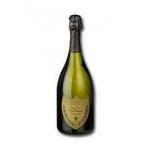 It contains a hollowness in the bottom of it to resist the pressure of sparkling wines. Jerezana: created by Spaniards. It has a thick neck and it’s used to bottle fine Jerez wines and manzanillas. The size of the bottle significantly influences the aging and storage of the wine, since wine evolution is slower as the size of the bottle increases. The color is a factor that influences the protection of wine from the sun. The most used colors for wine bottles are green, blue and black. The darker colors are used for wines that will age while lighter or transparent colors are used for white young wines to highlight its color. 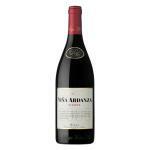 Viña Ardanza Reserva 2005: a red wine with DO Rioja produced with tempranillo and garnacha from the 2005 vintage and 13.5º of alcohol content. 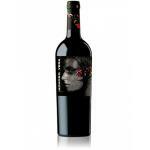 Honoro Vera 2014: a red wine Calatayud with garnacha of 2014 and presents an alcohol content of 14º. New Year’s Eve is here, and with it come family gatherings, celebrations and many moments that allow us to uncork our favourite champagne and toast the future. While it is true that at this time of the year the role of sparkling wine is particularly special, we should not forget that their bubbles also may accompany us during the rest of the year at any time, and if we want to taste it properly, it is important to know what glasses are best. 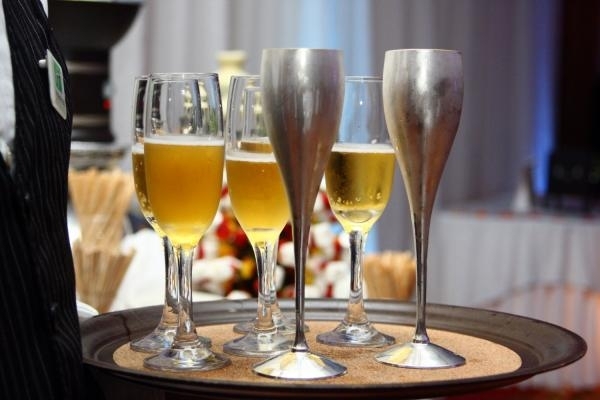 The truth is that we can find plenty of different shapes at the market, but we advise choosing transparent and thin crystal sparkling wine glasses, without decorations or colours, since they must allow assessing the general appearance of cava or champagne, the quality of its bubbles, its transparency and colour shades. The aim to achieve is a glass that allows the bubbles to rise naturally keeping the temperature as low as possible and to promote appreciating the aromas and flavours of wine. Pompadour: It has a wide opening and its bowl is short in height, features that don’t make it ideal for tasting sparkling wine, as the gas escapes very quickly and its shape favours the liquid to warm up. Flute: This glass is tall and narrow, something useful to keep the bubbles and the temperature of cava, but negative to appreciate its aromas. Trumpet: A very popular type of glass, which allows you to appreciate the aroma, but because of its overly narrow base, may not be ideal for the correct release of the bubbles. Tulip: Probably the best choice since its broadest shape from the base and flared rim allow a proper release of bubbles and, at the same time, appreciating the aroma and correctly tasting the sparkling wine, keeping the temperature low. Wine glass: Experts recommend using normal wine glasses to taste exceptional sparkling wines, as they are specifically designed to favour the tasting. Moët & Chandon Brut Impérial: is an emblematic cuvée . The world’s best-selling champagne brand. 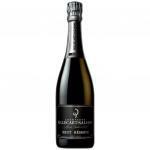 The harmony of its three grape varieties gives this champagne its elegance, which is rarely to find: fine bubbles, fruity, fresh, intense and glamorous. 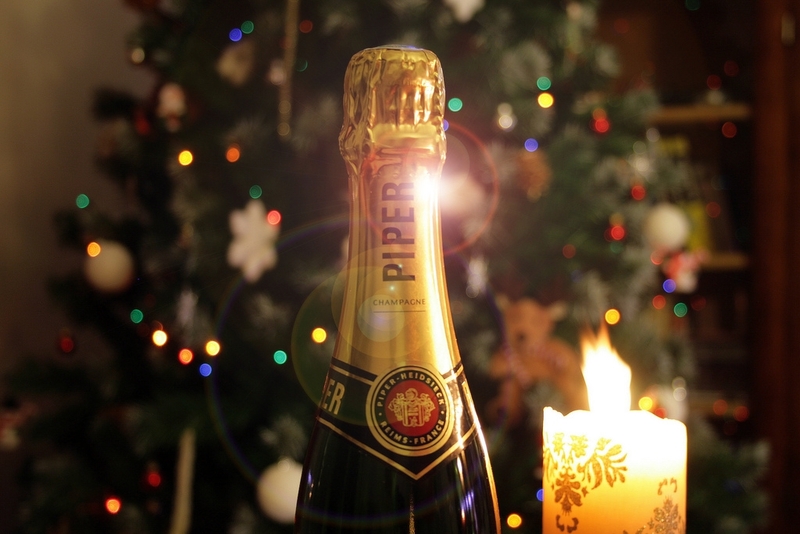 What better than a sparkling wine to make a toast with your family and friends during Christmas season? 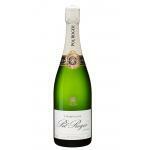 From Italy to France, we would like to suggest you the best champagnes, proseccos and Spanish fizz to clink glasses. Let’s celebrate! 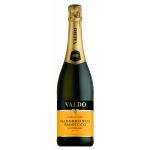 Valdo Prosecco Marca Oro Superiore: it is Italy’s best-selling prosecco. Due to its great national and international success Valdo Prosecco Marca Oro Superiore is in the center of the Valdo Spumanti brand. 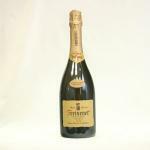 Villa Sandi Prosecco Spumante Brut “il Fresco”: it is a sparkling made by the Villa Sandi cellar. 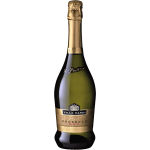 Vigna Dogarina Prosecco Extra Dry: Vigna Dogarina Prosecco Extra Dry is excellent for an aperativo during Happy Hour with hors d’oeuvres, but also with ethnic and sweet and sour dishes. 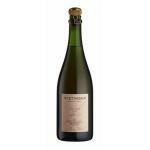 Bortolomiol Prosecco Miol Extra Dry: it is a sparkling wine from Veneto. It is made with prosecco grapes and it’s an excellent. Veuve Clicquot Brut: it is a Champagne produced by the legendary French wine cellar Veuve Clicquot, which produces premium quality sparkling wines since 1772. 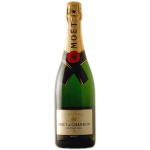 Moët & Chandon Brut Impérial: it is an emblematic cuvée . The world’s best-selling champagne brand. The harmony of its three grape varieties gives this champagne its elegance, which is rarely to find: fine bubbles, fruity, fresh, intense and glamorous. 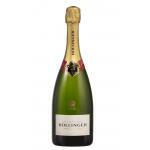 Bollinger Spécial Cuvée Brut: the name of Bollinger’s key figure champagne still symbolizes both expertise and history. 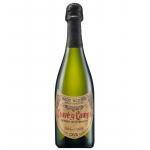 Juvé y Camps Reserva de la Familia: it is a fresh and broad Cava with a very creamy foam. An essential classic. 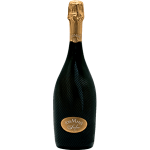 Foss Marai Surfiner Cuvee Bruti is an excellent fizz for a party, either in terms of price and taste. A great option for Christmas. 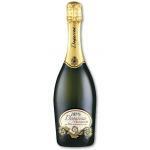 Cà del Bosco Cuvée Prestige Brut: a spectacular sparkling wine, seen as “Italian Champagne” by many wine enthusiasts. 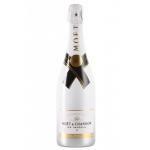 Moët & Chandon is one of the most expensive and glamorous champagne brands in the world. Therefore, this brand knows, more than anyone, how to bring innovation and also surprise the consumer with every new product launched. In this case, they just introduced MCIII, a champagne flashing luxury on all four sides. With this product, consumers will feel even more exclusive. The bottle design itself is already a benchmark since it was introduced to the market. They emphasize the initials MC (from Moët & Chandon), and the number three in Roman numerals. It also has a bright black crystal glass. 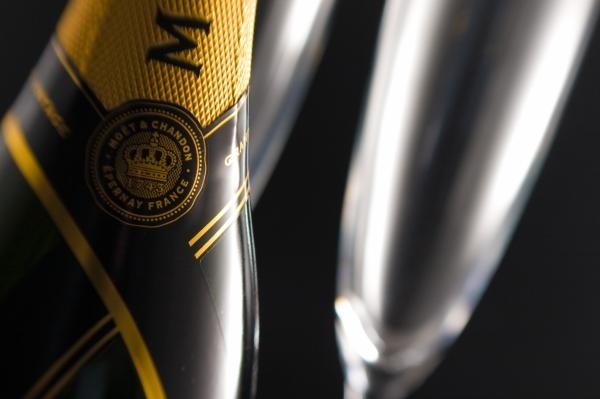 A stunning packaging that marks one of the goals of the champagne firm: seeking to be the best and making feel different and unique their customers. One of the peculiarities of this special champagne is being elaborated with vintage wines matured with wood, metal and glass, which is a novelty for the firm. It sure is one of the luxury items that most will be tasted in the coming months, and also facing the Christmas season. The best is undoubtedly its taste, since, as we have already indicated, it combines perfectly the old flavour of wines aged in the traditional way with a more mature champagne. What is intended is to give that distinctive touch that has the quality of the current wine. MCIII is design, taste, luxury and eccentricity. It counts with that harmony so beloved by those who like to enjoy always new products, and remain faithful to one of the leading brands of all time. Moët & Chandon Brut Impérial: a sparkling wine from the Champagne DO a based on pinot noir and pinot meunier and 12,5º of alcohol content. Moët & Chandon Ice Impérial: a sparkling wine of the Champagne DO vinified from pinot noir and pinot meunier and 12º of alcohol content. The United Nations Educational, Scientific and Cultural Organization has just added the regions of Champagne and Burgundy as part of its World Heritage list, a recognition that wine producers in these regions chase since many years ago, especially addressed to vineyards and cellars, but that indirectly will benefit large sections of the society and population of each region. With regard to Champagne, the decision affects areas such as Hautvilliers, Aÿ, Sainte-Nicasie in Reims and the Avenue de Champagne and Fort Chabrol in Epernay, who make up the productive core of the most appreciated and traditional sparkling wine in the world. According to the verdict itself from UNESCO, “these areas witness the development of a very specialized artisan activity which has become an agro-industrial enterprise”. As for Burgundy, Unesco has included 1,247 “climats” of the region, demarcated wine production plots that make up the characteristic mosaic that covers the slopes of the Côte de Nuits and Côte de Beaune, as well as the villages and the city of Beaune, in addition to the historical centre of Dijon. According to the Committee in charge of the inclusion of this area, “the site is an outstanding example of grape cultivation and wine production developed since the High Middle Ages”. In turn, the co-owner of Domaine de la Romanée Conti, Aubert de Villaine, said: “This inscription is also a recognition to the work of generations, the Cistercian monks, the Dukes of Burgundy, men and women, wine growers.. All of whom have, through the centuries, painstakingly shaped the vineyards of Burgundy in their determined quest for excellence”. Pierre Cheval, president of the Association Paysages du Champagne, which has coordinated the candidacy of the region during the past eight years, said that “The listing is a form of recognition, but also undertaking to the world’s nations, so we must ensure that we are worthy of it. We are duty-bound to preserve and maintain this landscape, know-how and heritage so that we can pass them on unspoilt to future generations”. Thus, after the announcement by the Unesco, these regions join, in their membership of the World Heritage, the Italian region of Piedmont, Mosel in Germany, Tokaj in Hungary and Wachau in Austria. R de Ruinart: a sparkling wine from this DO: Champagne made with pinot noir and pinot meunier grapes and has a volume of alcohol of 12º. Grand Regnard Chablis 2013: a white wine with Burgundy DO with the best bunches of chardonnay from the 2013 vintage. Among the different types of wine, sparkling is having a great success in all kinds of markets, and some references place English sparkling wine, one of the most consumed in the country, as one of the most growing in the coming years. 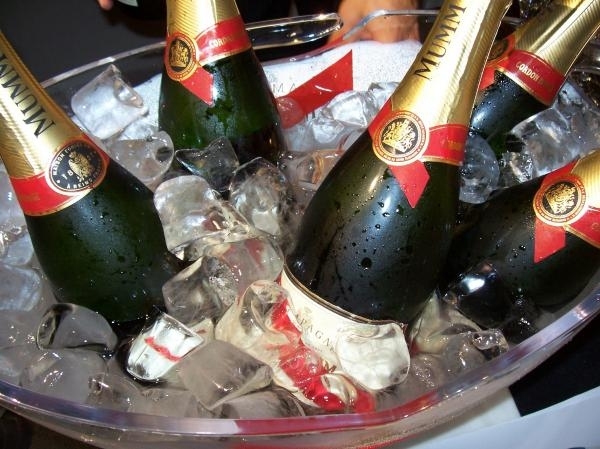 Some of the recent studies on wine, such as Vinexpo, ratify this, as the English sparkling wine industry will grow 342% in the period 2007-2017. This is due to several reasons. 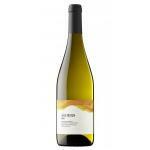 On the one hand, the increased production of this wine in the country, which is also the preferred by consumers. And on the other hand, a major supermarket chain (Waitrose) is buying more than 50% of the wine produced in Britain, with a variety of British wine in their establishments. As one of the largest suppliers of wine in the UK, the Waitrose’s choosing of creating their own brand of wine is a success. This vintage is sold under the brand “Leckford” and is made with grapes from its vineyards in Leckford. The first vintage of this wine variety was developed a few years ago. Consumer habits are changing, so in England wine consumption is increasingly growing, being sparkling wine still a favourite, whether it’s French, Spanish or Italian. This makes the interest for autochthonous production to be favourable. The other increase which explains the growth of this type of wine is due to exports, as world consumption of English sparkling wine is growing greatly. Some winemakers confirm this success, then go from white to red grapes to give a clearer sparkling wine, seeing that consumer preferences change and they must adapt to the new parameters of society. While they comment that sparkling wine is more expensive to elaborate, as a secondary fermentation process needs more time. The quality has improved, costs have decreased and now it’s much more affordable than before. 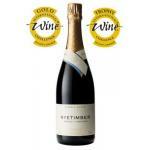 Nyetimber Rose 2009: a sparkling wine with Sussex DO which blend contains 2009 grapes and has a volume of alcohol of 12º. Sedlescombe vineyard in East Sussex was the first vineyard in the UK to be certified organic in 1979, but has recently released the first biodynamic wine in the UK. In December 2010, Sedlescombe launched the first British biodynamic wine, called %u201CFirst release%u201D, consisting of a mixture of dry white from Bacchus, Rivaner and Solaris. The label has a picture of the moon in a pointy hat and the tasting note indicates %u201Ctropical and spicy flavours of gooseberry, grapefruit and lemon grass%u201D. Roy Cook is passionate oenologist wine-making under the most natural methods possible: %u201CI see biodynamics as an attempt to work as closely as possible in harmony with nature and the natural rhythms%u201D, says. %u201CConventional agriculture seeks only to enforce and dominate, with scant regard for soil health, wildlife habitat and groundwater. It is a minimum requirement for each generation to leave to future generations a natural world in, at least, as good condition as it was when they inherited it%u201D. In 1974 Cook inherited 10 acres of land in a south facing slope near Sedlescombe. He spent five years living a simple life of self-sufficiency, growing and selling organic vegetables and in 1979 he planted 2,000 vines throughout 1.5 hectares. 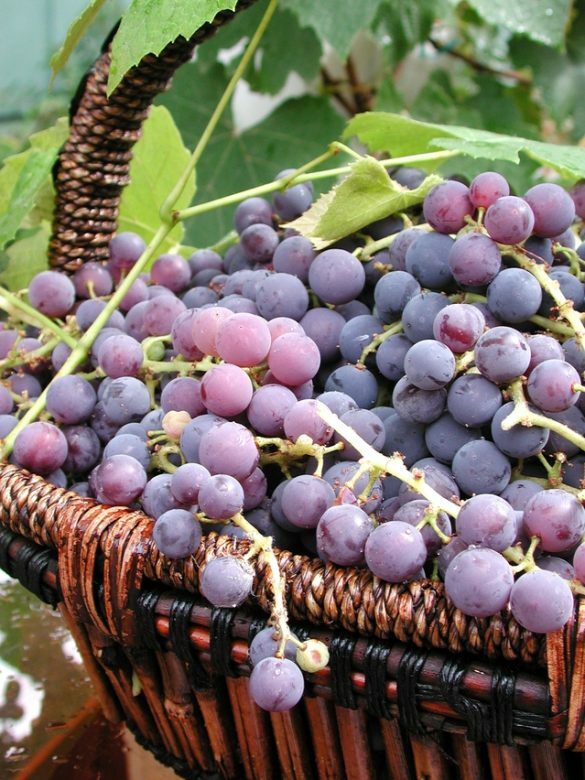 %u201CI realized it was possible to grow grapes successfully without the use of chemical fertilizers and herbicides. At that time there wasn’t overproduction of many crops and they were throwing all these toxic chemicals in the environment to produce large quantities of food, which in many cases remained unsold%u201D. Sedlescombe Organic Vineyard now consists of 3 vineyards across 23 acres, including the vineyard at Bodiam Castle. Cook applies biodynamic principles in all his organic vineyards, and in addition to wines with organic fruit, juices, ciders and spirits, the farm produces about 25,000 bottles of wine per year. Cook uses the farming methods outlined in a book by Dr. Julius Nessler in 1885, who advocates a radical change in the processing techniques of conventional wine, proposing to add de-stemmed and crushed grapes to the mix during fermentation to maximize body and bouquet. All the grapes at Sedlescombe are harvested by hand, and the cellar uses only half the level of sulphites in comparison with non-organic wines. In an attempt to avoid synthetic fertilizers, pesticides and herbicides, Cook uses green fertilizers to enrich the soil and improve wildlife habitats of bees, butterflies and birds, as well as quartz silica extracts designed to promote macro-biological activity in the soil, enhance fertility and improve light absorption and photosynthesis through the plant leaves. In an attempt to play a greater role in the biodynamic wine development community, Cook has applied for membership in %u201CReturn to Terroir%u201D a group gathered by group biodynamic wine pioneer Nicolas Joly, from the Château de la Roche aux Moines in Savennières, in order to reaffirm the individuality and difference of biodynamic wines. Oenologists can only become a member after completing two years as a certified biodynamic vineyard. Meanwhile, Cook works closely with consultants from the Biodynamic Association, and has developed links with other cellars, certified by Demeter in Europe, such as Peter Jakob Kühn Weingut in the Rheingau, Germany. 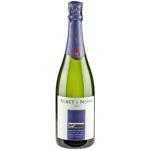 Albet i Noya Brut: a byodinamic sparkling wine Cava a based on xarel·lo and parellada and 12.00º of alcohol content. 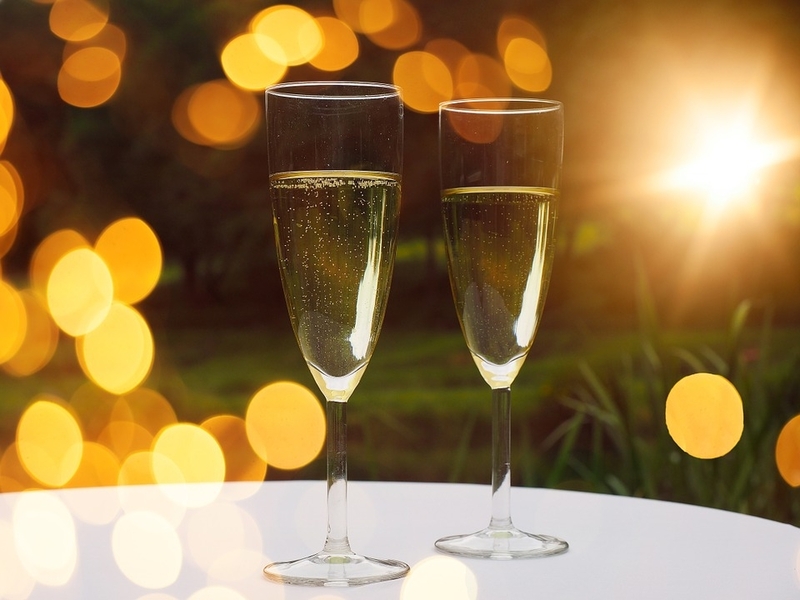 What are the most powerful sparkling wine brands? 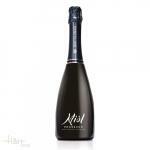 Always cool and for special occasions, there are several categories of champagne and sparkling wines. Those most powerful are usually the most expensive and delicious. They are for rare occasions, though, if you can afford it, you can drink them at your leisure. Möet & Chandon. It remains one of the most powerful brands in this market. Although it has lost some sales volume in recent years, is still one of the best and offers good prices for a gourmet market. Taittinger. This French brand is always among the top sales and cumulative turnover. 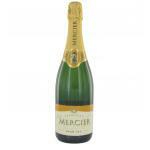 It was the official champagne brand of the FIFA World Cup this year and this gave it additional points. Nicolas Feuillatte. It is one of the most powerful beverage brands in the world. It increases sales by 13.5% compared to last year and the sales of its champagne bottles reached a record compared to other years. Mumm. Meanwhile, Mumm brand is positioning, but falls compared to previous years. The brand, owned by Pernod Ricard, has been the official sponsor of Formula 1 since 2000 and has released some limited edition bottles. Martini. The Sparkling Wine division of Martini brand, holds its position but slightly lower its sales. 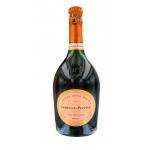 It is a powerful brand that competes with the big brands of French champagne. Laurent Perrier. Compete for the same sales position with Martini, and it was able to sign this year several collaborations with associations and organizations to be their reference brand. Freixenet. The Catalan Freixenet manufactures and sells cava. It maintains its position in the sales leaders list, especially because of its export level. Dom Perignon. Remains among the top three in terms of turnover and sales.